A car that I’ve recently picked up is Aj Allmendinger’s 2018 Camaro ZL1. 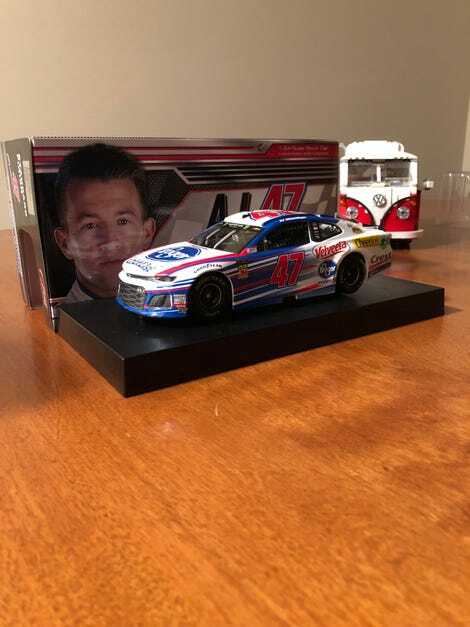 Aj Allmendinger has been in Nascar cup fulltime since ‘07 coming from champ car (which i know next to nothing about). I saw the listing earlier this year and figured I’d just wait to grab it when it comes out. Little did I know his contract was not being renewed this year and as of now has not found a ride for 2019, so when it did come out it was more difficult to find than I originally thought. So I looked around for a week or so and figured i better hurry up before they sell and potentially go up in value used on eBay. Some eBay finds are good but there’s always someone trying to rip you off. I found one on a website I don’t usuall buy from so I was a bit skeptical. But they came through and it Arrived in the only kind of condition I like, mint! Gambling pays off sometimes.